To deliver on these objectives The Victorian Fisheries Authority provides the core functions of licensing, administration, policy development and management planning. In addition, The Victorian Fisheries Authority provides resources for research and development, fish health management and shellfish quality assurance. Translocation of live aquatic organisms. Primary Industries and Energy Research and Development Act 1989. State, Commonwealth and local governments, rural water authorities and catchment management authorities are the responsible agents for the administration of regulations that impact on aquaculture. It is your responsibility to ensure you are acting within the law. If you are in doubt seek independent legal advice. A schematic representation of key Commonwealth and State Government legislation relevant to the aquaculture industry within Victoria is provided below. 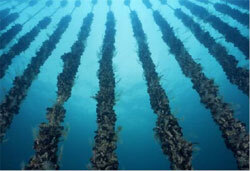 Local Government by-laws and planning provisions may provide authorities for the development of aquaculture specific to each shire or city. The Aquaculture Planning Guidelines are designed to assist local planners understand aquaculture and how aquaculture development is dealt with in the Victorian Planning Provisions. The department undertook a Rural Zone Review. The findings of that review led to revision of the number of rural zones to more accurately reflect the multitude of uses. Aquaculture is now a 'right of use' within two of the new zones. In two of the new zones, aquaculture developers will not require a planning permit for private land use for aquaculture purposes; however building permits are still required. Although these zones have been approved at the state level, implementation is the responsibility of each local authority and consequently will be gradually phased in.